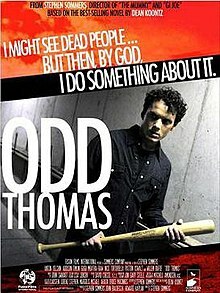 Odd Thomas sees dead people. Walking around like regular people. They only see what they want to see. They don't know they're dead. Wait, I thought the kid's name was Cole. The Sixth Sense, right? But no, this is a novel by Dean Koontz, and also a great example of how there are no new ideas: Just new, unique, and fun ways of examining old ones. Odd Thomas does indeed see dead people, but that's one of the more normal aspects of Odd, and of Koontz's amazing novel. My adventure came when my wife brought home a stack of used Koontz novels. I've seldom read his books, and had no real opinion about them, one way or another. The first I liked; the second I didn't much care for. Then came Odd Thomas, which kept me enraptured in a "do I really need to sleep? Do I have sick days available at work?" kind of way. I was late to the party: There are six Odd Thomas books and a movie version of this one, dating back fifteen years. To demonstrate whether I liked it: I've already finished the first sequel, Forever Odd. In the best "strange characters in a small town" fashion, Odd is surrounded by the unique occupants of Pico Mundo, California. Koontz's idea of a small town is a population of forty thousand, which really small town people like me regard with amusement, but never mind. Also in the best entertainment fashion, Pico Mundo seems to have a very high percentage of murders and other violence--where's Jessica Fletcher when you need her? As the story opens Odd encounters a little girl, who seems perfectly normal except that she can't speak. In Odd's world, the dead don't talk. By the end of the first chapter he's used his psychic powers to identify the girl's killer, and the chase is on. Despite his talents Odd is a short order cook. Because of his powers, really, because he's an unusually aware twenty-year old and knows that without order and routine, his ability would overwhelm him. He's madly in love with his childhood sweetheart, Stormy Llewellyn, he's the helpful sort you'd dream of having as a neighbor, and he's known around town as a great--but strange--young man. Only a few people, including the Police Chief, know of his psychic talents. But in the course of one day his life is disrupted even beyond his own experiences. Odd finds himself chasing after a suspicious newcomer, and it leads him to supernatural madness, murder, and the knowledge that in less than a day something horrible is going to happen to the town he reluctantly protects. 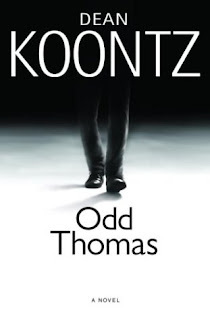 I just realized how impossible it is to actually describe Odd Thomas. You have to experience it. To a large extent it's all about the style, in a book written as an after-the-fact account by Odd himself. Odd Thomas is a weird and wonderful mix of action, thriller, and humor, the kind of well-crafted work that reminds one of Terry Pratchett or Neil Gaiman. It makes fiction writers like me insanely jealous. It's the kind of book that only established writers can get away with, especially when Koontz fills in backstory by having Odd just tell you what the backstory is. Yeah, he gets away with it, and also with that kind of colorful description that's gone away a little too much in today's literature. But what he gets away with is awe-inspiring. No, I have no idea if the movie is any good ... but I'll probably watch it, anyway. Recent Articles by Writers Mark Hunter follows. BREXIT OR WHAT ABOUT DISSOLVING THE EU ?